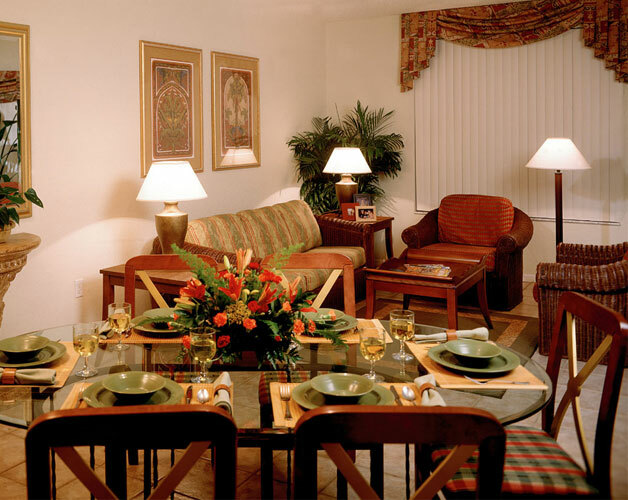 Vacation Village at Parkway offers beautiful timeshare accommodations professionally decorated in West Indies decor. 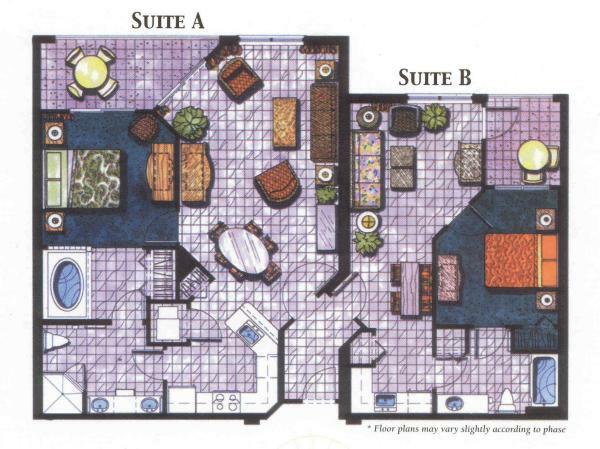 Offering suites joined by a central foyer, you can rent just one side to sleep four, or occupy the entire two-bedroom suite for 1,500 square feet of living space. 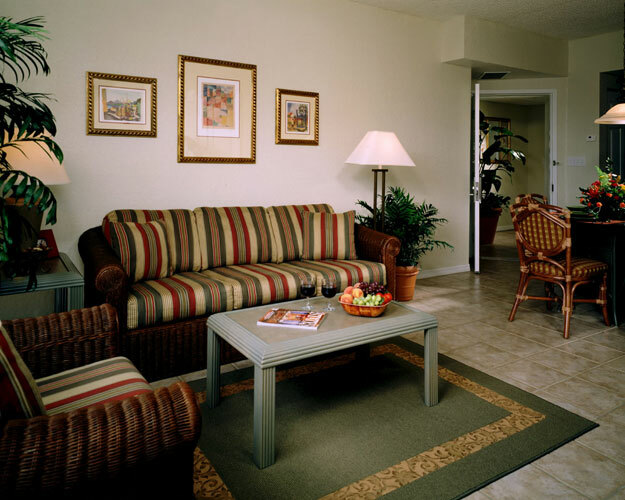 Vacation Village at Parkway suites feature dual access bathrooms, fully equipped kitchens in select suites, entertainment center, and furnished balcony or patio. Two bedroom suites sleep eight and offer a king bed in the master bedroom, a queen bed in the second bedroom, and a sleeper sofa in each of the living areas. Surrounded by beautiful landscaping, Vacation Village at Parkway features two pools with hot tubs, a kiddie pool, exercise facility, outdoor BBQ grills, and nature trail. Weekly maid service is an added perk, in addition to free Internet access in the rooms and lobby area. Vacation Village at Parkway is minutes from Disney's Magic Kingdom, Universal Studios and Sea World. Just a short drive and you will be walking the steps to St. Augustine, Busch Gardens, Silver Springs, and the Kennedy Space Center.